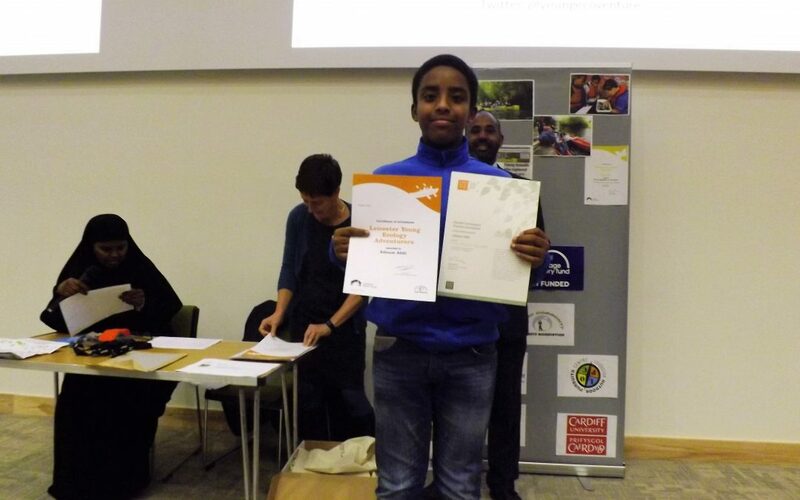 It is a pleasure for SOCOPA and its Staff to invite parents and young people who were part of Leicester Young ecology Adventurers program during summer holidays Graduation Ceremony. The young people will receive their John Muir Award as well as a certificate from the Canal and River Trust at a graduation event from 4:30-7pm on 25 October. The Event will take place the wonderful new Centre for Medicine building at Leicester University. You can invite friends, family members and your teachers to come along with you. Food and refreshment will be provided on the day. Please confirm your attendance by texting into this phone number 07853290875 quoting your name. Waxaa Sharaf u ah bahda SOCOPA in ay waalidintii sharafta leh iyo ilma hooda ku marti galiso in ay nagala soo qeyb galaan munaasabad siheer sare ah loo soo agaasimay oo shahaadooyin lagu siinayo dhalinyaradii ka qeyb qaatay Barnamijkii Leicester Young Ecology Adventurers wakhtigii fasaxa Iskuulka. Munasabadaan waxaa lagu qabanayaa Jaamacadda Leicester University qeybteeda Caafimaadka oo ciwaan keedu yahay.